The International Baccalaureate Diploma Programme is a two years pre-university course offered to students aged 16 to 19. The Diploma Programme encourages students to think critically and develop into responsible citizens having a global perspective. The curriculum is comprehensive and balanced coupled with assessments that enhance intellectual rigor and help students relate classroom learning with the outside world and real life experiences. Diploma Programme graduates develop into lifelong learners and are trained to approach unfamiliar situations with confidence. 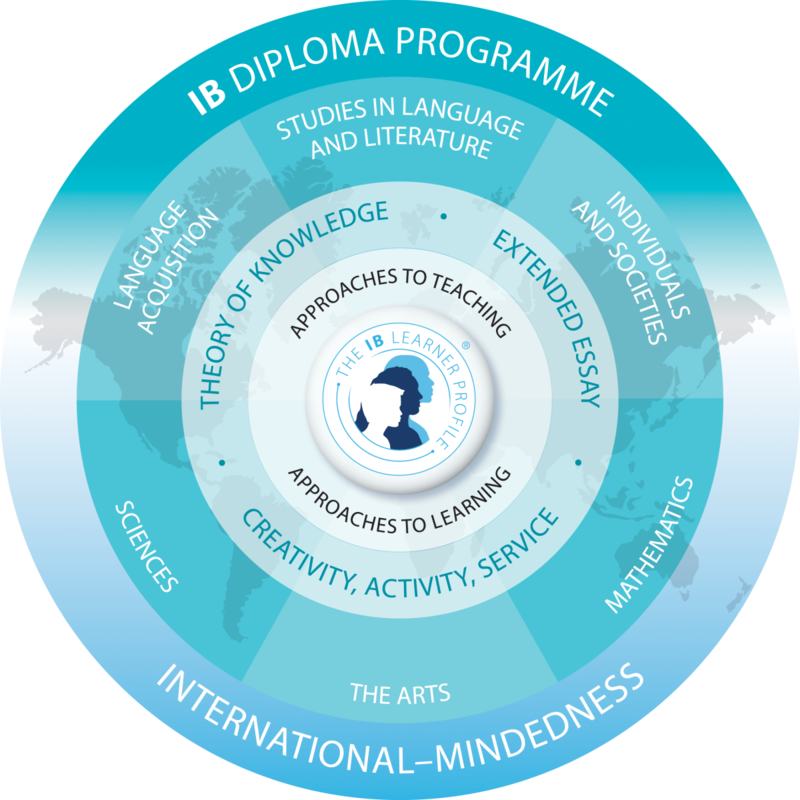 The IB Diploma Programme with its demanding academic standards has high acceptance in Universities and Colleges worldwide. The uniqueness of the Diploma Programme lies in the core subjects, Theory of Knowledge (TOK), Extended Essay (EE) and Creativity, Activity and Service (CAS). TOK provides an opportunity to the learners to explore their knowledge with experiences of daily life and reflect on how they know what they claim to know. Learners are assessed on the TOK course through a presentation and a 1600 word essay. The Extended Essay is a structured essay comprising 4000 words that gives an opportunity to the learners to communicate their reasoning in a coherent and logical manner appropriate to the chosen subject or issue. CAS complements academics making the Diploma Programme holistic. It provides opportunities for self-determination, collaboration, accomplishment and enjoyment. Completion of CAS is a requirement for the award of Diploma. It is not formally assessed but students reflect on CAS experiences and through the CAS Journal provide evidence of having achieved the eight learning outcomes of CAS.